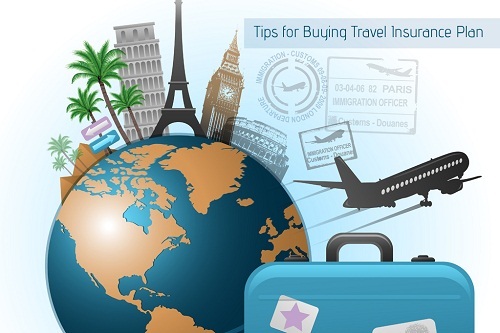 One of the essential items that you should consider while preparing for any trip is your travel insurance. Without proper travel insurance coverage, you risk ruining your entire trip. The key reasons why travelers invest in insurance include; protection from unforeseen circumstances and financial security during their trips. There are various reasons why you should always ensure that you have travel insurance and these range from flight cancellations to losing your bags. Any time you are away from home, you need to have medical cover. Whenever you travel to another country or regionally, travel insurance is a smart choice. During a trip abroad, you may encounter various problems or challenges. With the right type of travel insurance, you will be able to get proper care if you have an accident or fall ill. Along with medical care, there is also a provision for evacuation in case you need to be moved to another hospital or healthcare facility. Any medical expenses that are incurred while travelling will be covered by your insurer. Medical care can be costly for travelers at different destinations and you need a travel insurance policy that will protect you from such costs while you are away. The reality is that many circumstances are beyond your control when you travel. There may be flight delays or an emergency situation may make it necessary for you to rush back home. If you do not have travel insurance, such situations may disrupt your entire travel budget. You may not only lose what you have already spent on the trip so far, but may also end up paying extra to cover the disruptions. Depending on the type of travel insurance package that you have, emergencies or unexpected events will be covered and you will be able to save your money. If you lose your bags or your belongings are damaged while you travel, this can cost you a lot it if you have to spend your own money. Travel insurance ensures that you are not liable for replacing anything that is lost or destroyed. Insurance helps to compensate you for your losses and this means that your finance will remain intact if your items are lost, stolen or damaged. Buying a travel insurance policy can save you a lot of money if your trip does not go ahead as planned. Insurance covers various aspects of traveling such as accidents and emergency assistance for the duration of your trip. Although everyone hopes that their travel plans will go smoothly and without any hitches, things can go wrong and adequate travel insurance provides coverage for such situations. Before embarking on any trip, find out what you need to do to make sure that your trip is as safe and smooth as possible. There are different policies to choose from and your insurer can help you select one that is suitable for your needs. Knowing the type of policy you need for your trip will enable you to but the right travel insurance.